Ultraviolet light is beneficial to aquarium goldfish. The UV acts as a water sterilizer, killing bacteria and algae. It also enables goldfish to regulate their daily routine. Wild goldfish rely on light from the sun for this, but to expose an aquarium to sunlight would make it the perfect breeding environment for harmful algae. Although generally beneficial, UV light can be harmful in doses that exceed the natural amount of light a wild fish would receive. The pigment in the skin of a goldfish provides a natural defense against the potentially harmful effects of UV light exposure. In fact, without exposure to UV light, the goldfish pigments would be under-stimulated. UV light exposure stimulates the pigment to reproduce faster, increasing the fish’s natural tolerance levels of UV light. The amount of UV light a goldfish receives has an influence on its color too. Fish exposed to lower levels of UV tend to be paler, while those exposed to higher levels have more vivid colors. Prolonged, high-intensity exposure to UV light can cause damage to the cones in the retina. This ultimately will lead to impeded eye function, as UV sensitivity decreases after overexposure. 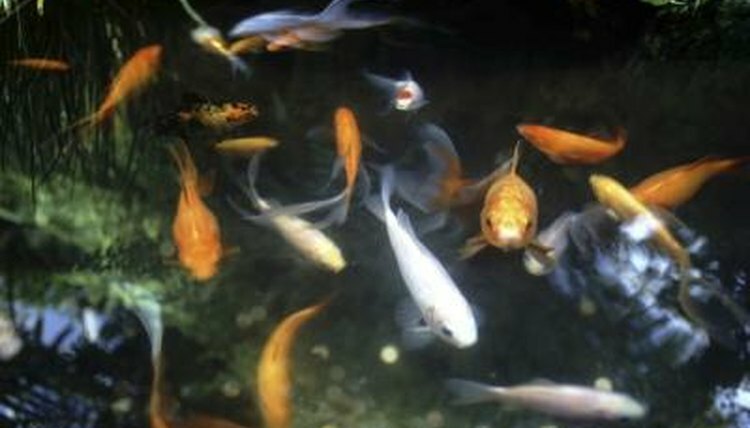 Under-sensitivity results in the goldfish being unable to regulate its routine, as they are not able to recognize when they are being exposed to light. Goldfish have a natural photo-repair mechanism that enables them to undo some of the damage caused by radiation in UV light. However, their embryos do not develop this capability until late in the development stage. So newly fertilized embryos are at risk of being permanently damaged if exposed to UV light in excessive doses. In most cases, overexposure to UV light would prevent the embryo from developing correctly. Although the main benefit of UV light is to remove harmful organisms from the aquarium environment, overuse will result in an entirely sterile tank. The fish require a balance, so their immune systems can develop tolerance to potentially harmful organisms when exposed in safe doses. The UV light also can be harmful if you’re treating your goldfish with medication. While the UV light may remove the cause of the problem, it also will neutralize the medication that you’ve used to treat the water. UCSB Scienceline: Does the Artificial Light Effect the Pigment of the Goldfish?